Get your vehicle ready for a holiday road trip. For most of us, proper preparation for your upcoming holiday road trip is more about wedging suitcases into the trunk and grabbing that famous stuffing recipe than it is about car maintenance. We certainly understand; the holiday season is a hectic one. However, a little advance planning can make a huge difference in getting to your destination in one piece and arriving with a few shreds of sanity left! Here are five ways to ready your car (and yourself) for the great holiday tradition: the road trip. Fluids: The various fluids under the hood keep the mechanicals in your car from seizing, which means it’s vital to check and change them if necessary. We’re talking about oil, transmission, and brake fluid. 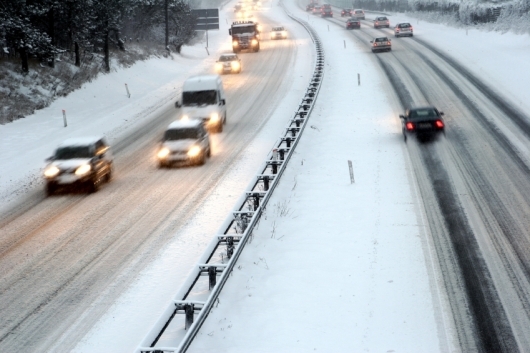 Also, be sure that your windshield wiper fluid is good to go when freezing weather hits. 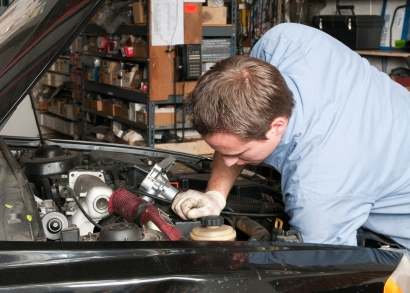 Coolant system: Extreme temperatures force the coolant system to work overtime. Have the antifreeze, hoses, and radiator checked. Windshield wipers: Bad windshield wipers can make driving in the rain the stuff of nightmares. If your blades are more than six months old, odds are it’s time to swap them out for new ones. 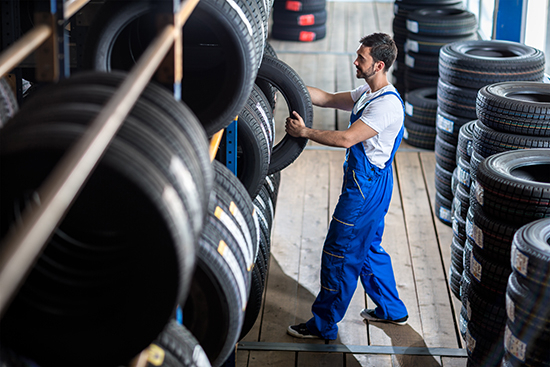 Tires: Have your tires rotated and inspected. The last thing you need in cold, wet weather is to be driving on bald tires. Now’s the time to err on the side of caution and replace any tires that are too worn. Yours are good to go? Double check the tire pressure against the manufacturer’s specifications when they’re nice and cold, and add air if needed. This helps with fuel economy as well. We can hear our mothers now: “Better safe than sorry!â€ We imagine it was repeated ad nauseum in your house too. Though, they have a point. 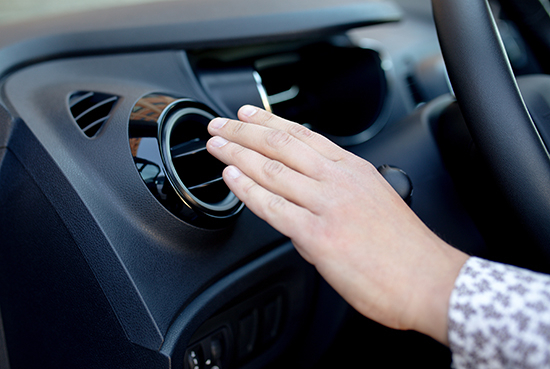 When temperatures dip, having car trouble can go from being an annoyance to a danger. Stock your car for that ‘just in case’ moment with the right supplies. For getting out of trouble: Jumper cables, small shovel, sand or kitty litter for traction, and flares. The necessary tools: Flashlight, small knife, ice scraper, and rope. Added protection: Blankets, energy bars, water, waterproof matches, first-aid kit, and gloves. On a road trip, it’s a given you’re going to spend a lot of time ducking in and out of the car. With winter weather a factor, you might want to grab some all-weather floor mats. They’re easy to clean and do a great job of keeping the muck in one place. Also handy: a spot remover spray, durable paper towels or a cloth, and a trash can (or dedicated trash bag). Those burgers and fries make for messy meals. Keeping passengers entertained is important for two reasons. First, it keeps everyone sane during the long journey, and we know how crazy it can get on road trips. But more importantly, it also keeps them from distracting the driver. Tools of the trade include games, books, DVDs, a sing-a-long set list (the cheesier the better), and some car-friendly arts and crafts (see: protect the interior!). Know state laws: It’s easy to forget that road laws can change dramatically once you cross state lines. If you’re entering new territory, know what the cell phone and snow chains laws are before you find yourself encountering the local law enforcement. You may also want to check speed limits – you’re legally required to know them even if they’re not posted. Map your route: Navigation maps on your phone or gps device have become a key item in the road warrior’s toolbox. They’re great for rerouting, arrival time estimates, and on-the-fly route planning, but it’s not the same as hopping on a computer or busting out the atlas (there must be some committed map readers out there). You’ll be able to see the full route, which will let you check for road closures or traffic issues. Plus, sometimes electronics fail. It’s good to have a backup.